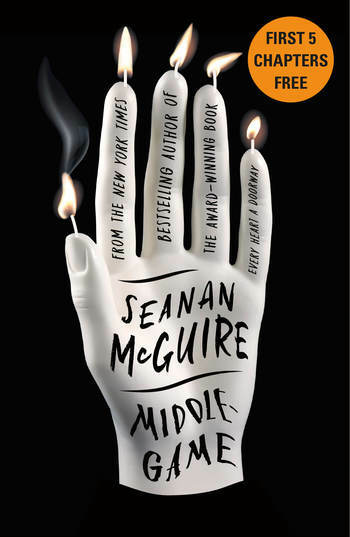 New York Times bestselling and Alex, Nebula, and Hugo-Award-winning author Seanan McGuire introduces readers to a world of amoral alchemy, shadowy organizations, and impossible cities in the standalone fantasy, Middlegame. Read the first five chapters free! Roger and Dodger aren’t exactly human, though they don’t realize it. They aren’t exactly gods, either. Not entirely. Not yet.